There’s no doubt that caller ID has changed the world. After all, when’s the last time you got one of those, “Is your refrigerator running?” prank calls? Unfortunately, though, there are times when even caller ID can’t tell you who’s lurking behind a particular phone number. So, how do you solve the mystery? Understand How Results Are Obtained. It Matters! With a reverse phone number lookup! All you have to do is give your team of investigators the area code and phone number, and they’ll be able to search for who it belongs to! Make no mistake, though. While this process may sound easy on paper, it’s actually pretty complicated. Don’t be scammed by the hundreds of “cheap” and “instant” reverse phone number search services that do nothing but put a phone number through an outdated public database record. Legitimate investigators will know exactly where to go to uncover the information quickly, and they’ll have access to things that you don’t; like the phone carriers billing records. As a result, a reverse phone number lookup can only be done by trained experts. They’re not something you can do yourself! OK, so once you’ve placed an order with a legitimate team of investigators, what kind of information will they be able to turn up? If the phone number in question is a landline based in the U.S., your investigators will be able to give you the name and address of the person it’s registered to. If you’re dealing with a cell phone number, your investigators will be able to give you the name and billing address that’s associated with it. If the investigators doing the reverse phone number search discover that the number actually belongs to a pre-paid cell phone, things will work a little differently. As long as the person who bought the phone registered it, your investigators will be able to get his name. If the phone hasn’t been registered, your investigators will only be able to turn over the subscriber name and address that was registered with the carrier when the phone was purchased. What about other types of phone numbers? 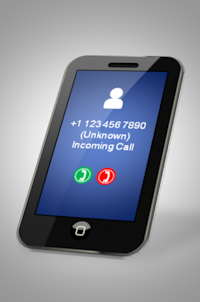 These days, phone numbers can be linked to VoIP connections, pagers, voice mails, and other “nontraditional” things. Depending on what kind of technology you’re dealing with, your investigators may have to approach their work a little bit differently. The key is to talk to your investigators. The good ones won’t just take your money and go off and running. Instead, they’ll be happy to answer your questions throughout the entire process. In fact, if you find a company that won’t answer your questions — or won’t let you contact them any other way but through a support link on their website — you’re dealing with the wrong one! Unfortunately, though, many of these online “investigators” don’t have a phone number or an email address that connects you to a real person. That’s why you have to do your homework ahead of time — and make sure you’re dealing with the very best before you hand over any of your hard-earned money. If you’re working with a team of licensed private investigators, they’ll have to go through everything by hand. While that means waiting a little bit longer, it also means that you’ll get accurate results. And, luckily, you won’t have wait very long. Most of these searches can be done in one business day, so you won’t have to worry about sitting around while some random number rings your phone off the hook. Yes, there are websites that say they’ll give you instant information, but unfortunately, it’s usually inaccurate or hopelessly out of date! What about the results? Are they guaranteed? A legitimate investigator won’t make ANY promises upfront, because he knows that there’s a possibility that, despite all of his expert work, he may not be able to find the information you need. That’s a big different from the websites that guarantee to give you results before they know any of the details. Those guarantees aren’t dishonest per se, but they’re a little misleading. Yes, you’re guaranteed to get a name associated with the phone number in question, but there’s no guarantee that you’ll actually be given accurate information. You may end up with the name of a person who hasn’t had that phone number in 10 years! Above all else, you shouldn’t have to pay an arm and a leg to do a phone number search. If someone tries to get you to hand over hundreds of dollars — or, worse, tell you that you have to sign up for some kind of monthly subscription service — you’re dealing with the wrong company! Odds are you don’t need to look up a bunch of different phone numbers, so you should be able to simply pay a one-time fee. If you’re dealing with a reputable team of investigators, they’ll do all of the searching you need for under $50. And, if they can’t find the information you need, they’ll return every single penny of it. So, you can feel free to place an order without any risk. Ready to place that order? After all, the longer you wait to do a reverse phone number lookup, the longer you’ll have to deal with this mystery. Get the ball rolling on your search today!